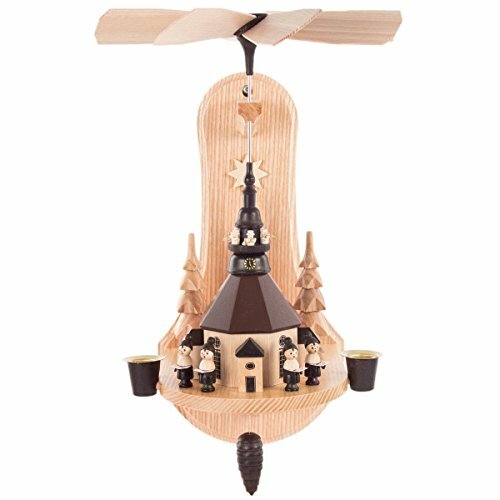 Singing Choir Kids German Carousel Pyramid spins using two 14mm candles. Have your Pyramid decorate the wall with this adorable church. This pyramid was handcrafted in Seiffen Germany. If you have any questions about this product by Dregeno, contact us by completing and submitting the form below. If you are looking for a specif part number, please include it with your message.